When the card, coded with a specific vehicle, is “swiped” at the fuelling station, a proprietary prompt on the fuel screen lets the driver enter the truck’s odometer reading and trip report number. An optional RFID tag – Smart Q – can be placed in the truck to get the prompt without having to swipe the PacFuel card. For those running reefer units, the RFID tag is placed near the refrigeration unit so that fuel can be recorded for that unit. Fuelling transactions could automatically be sent to PacLease and its fuel tax department if the customer utilizes PacTrac. This streamlines fuel tax reporting and takes away the need for customers to submit fuel receipts and mileage, which provides more accurate reporting and can help customers when facing an audit. 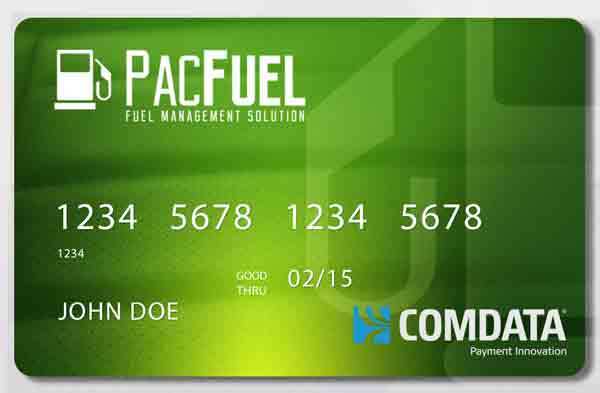 Comdata also offers a FleetAdvance mobile app that allows drivers to find fuel stops with the best cash prices. After drivers log into the app, which can be downloaded for free on IOS and Android, they can find fuelling locations and automatically display the company-negotiated fuel discounts. Comdata studies show that by using the app drivers are able to find fuel at a lower cost 54 percent of the time.